On the long list of ailments cannabis can help alleviate, shingles may be one you haven’t come across. But topping news feeds or not, there is considerable evidence to show cannabis can have a multifaceted beneficial effect on this painful condition. Read more about how you can relieve pain caused from shingles. Shingles is an infection, a result of the varicella-zoster virus, the same virus that causes chicken pox. If you have contracted chicken pox in the past you cannot get it again, but you can get shingles. Once you have gotten over those itchy, red, childhood bumps, the varicella-zoster virus lies dormant in the body, and may reactivate decades later, causing you to develop shingles. Though shingles is visually identified by a painful red rash, often in a strip on one side of the torso, pain in the area can begin days before the rash appears. This pain might be accompanied by numbness and tingling in the same area. Then the rash sets in, blisters, and cracks. People with shingles can also develop other symptoms like fever or headache, light sensitivity, and fatigue. Though not life-threatening, shingles is undeniably painful, irritating, and can be debilitating. When a patient is diagnosed with shingles, the doctor will likely prescribe an anti-viral drug to push the virus back into submission – the drug shortens the span of the flare-up, or reduces its severity, though there is no cure for the virus itself. An anti-depressant or anti-inflammitory may be prescribed to deal with pain and inflammation. Pain can also be eased with opioid medications or, in severe cases, corticosteroid injections. Anti-virus medications carry out the role for which they’re intended, but come with lengthy warning lists of worrisome side effects including muscle ache, vomiting, hair loss, confusion, changes in behavior, kidney damage, trouble speaking, and even seizures. As for painkillers, those containing morphine can halt the body’s ability to fight pain on its own by interfering with the natural endocannabinoid system, particularly when the patient’s tolerance for the drug begins to increase. These painkillers don’t work terribly well for this neuropathic pain, anyway, because the nerves and nerve receptors to which the compounds usually bind have been corrupted by the virus. Traditional prescription medication, though a viable option, leaves much to be desired in the treatment of shingles. Cannabis can step in where some of these drugs fall short. Unlike those nerve receptors mentioned above, which can be damaged by the condition, cannabis interacts with the CB1 and CB2 receptors found all over the body; these receptors are largely uninhibited by the virus. The cannabinoid compounds in the cannabis work like traditional painkillers, muffling pain signals sent to the brain. Because the CB1 and CB2 receptors are still in working order, cannabis can successfully relieve shingles-related pain. Both THC and CBD – the primary cannabinoids in cannabis – boast considerable anti-inflammatory qualities, as well. Whether ingested through smoke, vapor, oral consumption, or applied topically, cannabis delivers these healing cannabinoids to the rash site, helping soothe swelling. Topicals also offer pain relief, and can keep any open blisters or sores from becoming infected. Be sure to never use any topical applications containing arnica on open blisters or sores, as arnica is a toxic herb and it should not be absorbed into the blood stream. THC and CBD also protect nerve cells from further damage from the shingles virus, and from future attacks. This particular benefit can even prevent the onset of postherpetic neuralgia (PHN), a condition that can develop following shingles, that causes the patient severe pain in the area of the rash long after the rash itself has healed. Of course, the lack of serious side effects is just one more advantage of using cannabis to treat any condition. While some individuals may experience headache or dizziness, these effects are short-lived, risk of addiction is extremely low, and overdose is impossible. Those concerned about the “high” for which cannabis is known can rest assured that strains high in CBD will counteract this effect, and topically applied products produce no psychoactivity. 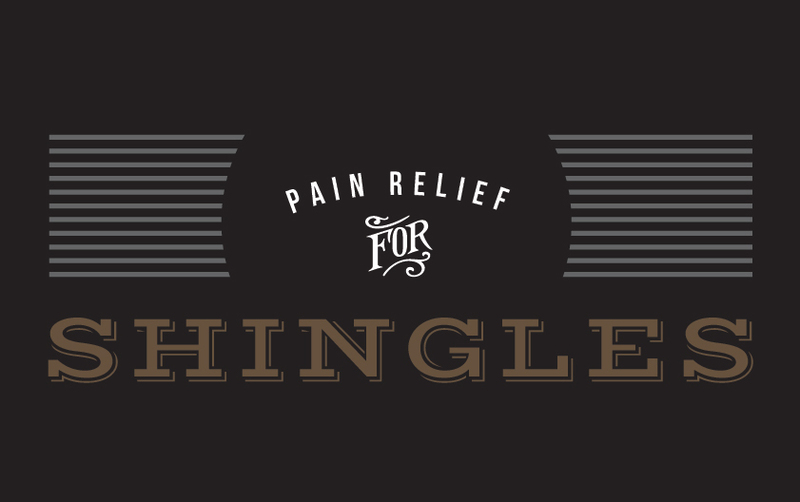 As yet, shingles is not on the list of accepted conditions in Canada’s Access to Cannabis for Medical Purposes Regulation (ACMPR), but the infection is recognized by many independent consultants and cannabis retail stores as a legitimate, qualifying condition for cannabis treatment. The well-informed staff at FARM can set you up with the best strains and products to relieve your shingles pain.